Adobe’s products are still the major options for those wanting to work on creative products. Be it graphic design, photograph or video. We have to admit that products like Photoshop, Illustrator and Lightroom are second to none on their field. They have even become standard on each industry segment. But, we also know that those Adobe’s products are not free. You have to pay monthly subscription fee in order to be able using those products. For a company or people with a huge amount of money, it is not a big problem. Different story applies to freelancers or companies with a tight budget. Keep it mind, Photoshop, Lightroom and Illustrator are just a tool. What matter more is your skill. As long as you have mastered the concepts, it doesn’t matter what tool you use. You will keep be able to create stunning works. Even with free tools. Following are free alternatives to Adobe’s popular products that are reliable enough to work. Photoshop is the first name to come mind for those who want to edit photos, manipulate images and so on. This tool has been a standard in the photography industry and image editing in general. No one doesn’t know about this product I think. Photoshop itself is one of the most popular products from Adobe, available for Mac and Windows. No Linux version is available. Linux users who want to edit image commonly use GIMP. In case you haven’t heard of. GIMP is an image editing tool just like Photoshop. The difference is, this tool is free to use. GIMP is arguably the best free alternative to Photoshop, developed by a community instead of company like Photoshop. Nearly everything you can do with Photoshop can also be done with GIMP. You can use GIMP as a photo retouching tool, image editing tool. Anything. Depending on your need and creativity. GIMP is available for Windows, Mac and Linux. Furthermore, GIMP also has a compatibility with Photoshop. You can open PSD files with GIMP although not all images are perfectly converted. Speaking of GIMP, we have some free GIMP tutorials in case you are interested to this tool. Graphic design has a close correlation with Adobe Illustrator and CorelDRAW. The vast majority of professional designers use those tools to work. Is there a reliable free alternative to Adobe Illustrator or CorelDRAW? Of course. 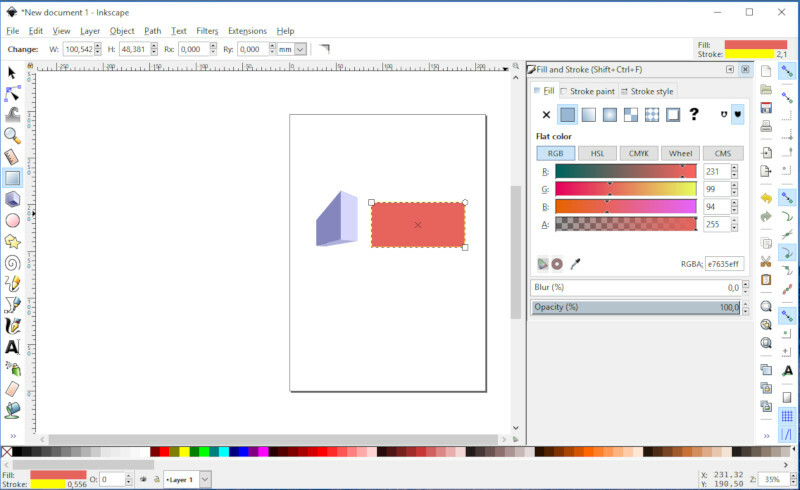 Inkscape is the free drawing tool you can use to replace Adobe Illustrator and CorelDRAW. You can use it to create vector graphics. Whether graphic art, logo and any other type of design. Inkscape is also free to use. It’s a free, open source software that is available for Linux, mac and Windows. Inkscape supports advanced scalable vector graphics features like markets, clones blending and so on. Same as GIMP, Inkscape is also a community-driven software. In addition to Photoshop, Lightroom is another tool that has been a standard tool in the photography industry. Lightroom itself is a RAW editor. Professional photographers use this tool as the post-processing tool to get the best tone of their photos before the photos get used. 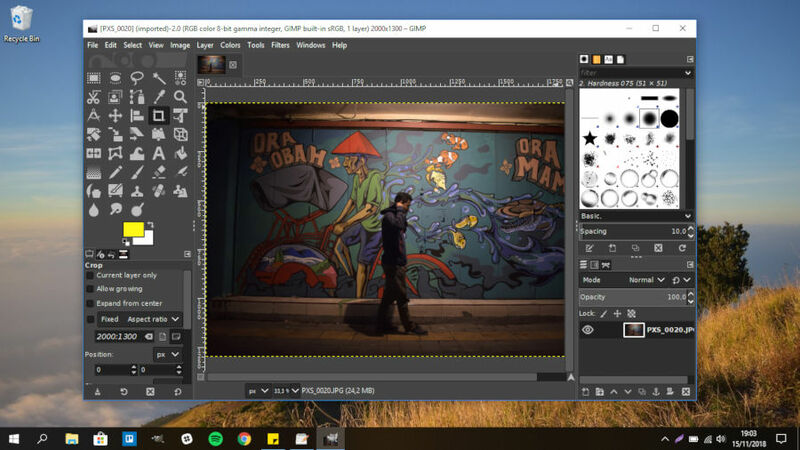 Darktable comes as an alternative to Lightroom if you doesn’t have enough budget to be spent each month to prolong the Lightroom subscription. Darktable is reliable enough. It supports nearly all RAW formats of popular camera brands like NEF (Nikon), CR2 (Canon), ARW (Sony) and so on. 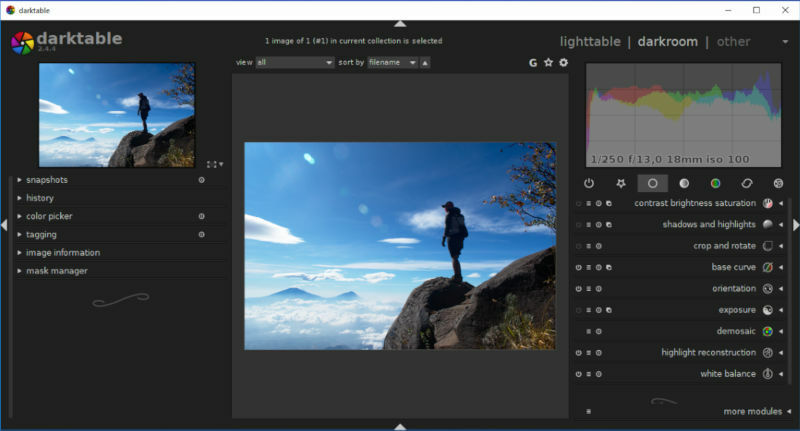 Darktable is also released as an open source software which is available for Linux, Mac and Windows. Darkable has a good enough management feature. It comes with rating and tagging features which are pretty handy to manage your library. Same as Lightroom, Darktable also supports presets. This tool adopts non-desctructive mechanism. It won’t ruin the original RAW file when you edit it. We have a quick tutorial on how to use Darktable. In addition Darkable, you might also interested to try RawTherapee. Adobe InDesign, as well as Microsoft Publisher, are two of the most popular desktop publishing tools. They are primarily used to create campaign materials like flyers, posters, brochures and so on. They are also mainly used to create magazine template, newspaper template, e-book template and the similar designs. Today, there have been a bunch of online alternative to Adobe InDesign and Microsoft Publisher like Canva, Crello, Lucidpress to Adobe Spark. However, some people still prefer to use a desktop-based tool. Scribus can be a great alternative to Adobe InDesign if you are looking for a desktop publishing tool. 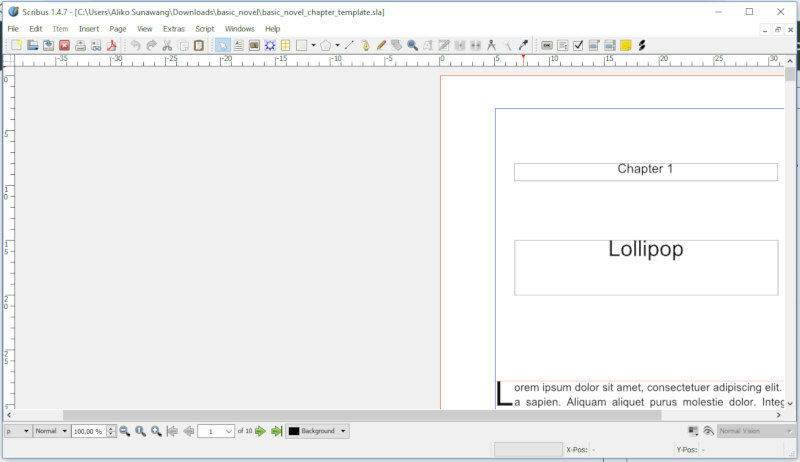 Scribus is a free, open source desktop publishing tool that is available for major desktop platforms. From Windows, Mac and Linux. This tool is primarily can be used to create magazine design and newspaper design. But, you can also use it to create designs like posters, flyers, brochures and so on. Adobe Premiere is a popular video editing tool. Again, you have to spend money to use this tool since it not available for free. If editing video is not a part of your main job, free tool is enough. One of the free video editing tools you can use to replace Adobe Premiere is OpenShot. Don’t get it wrong, you can also use it as a professional video editing tool. OpenShot itself is an award-winning open source video editing software. You can install this tool whether on Linux, Windows or even Mac. OpenShot allows you to perform basic editing like trimming videos. When editing a video with this tool, you can add as many layers as you need for watermarks, background videos, audio tracks, and so on. Features like video effects, slow motion and time effects are available on this tool. Adobe Animate is 2D animation software used by many professional animators. 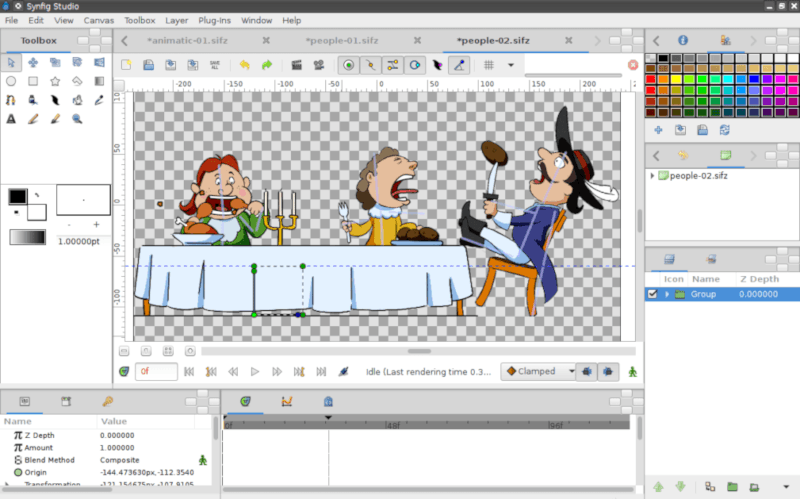 Synfig comes as an alternative to Adobe Animate which you can use for free without spending a dime. This tool is also released as an open source software. Available for Linux, Windows and Mac. When downloading this software, you will be asked to make some kind of donation. But basically, this tool is free. Synfig is capable enough to replace Adobe Animate. This tool is capable of simulating soft-shading using curved gradients and provides a wide range of real-time effects which can you can apply to layers. Adobe After Effects is a tool used to create visual effects and motion graphics. If you ever seen a video with a stunning effect, chances are the effect was created using this tool. There is also free alternative to Adobe After Effect which you can use to create stunning visual effects for the video projects you are working on. One of which is Natron. Natron is also an open source software that is available for Linux, Windows and Mac. Natron comes with an intuitive interface. You can work with keyframes with a very accurate curve editor. 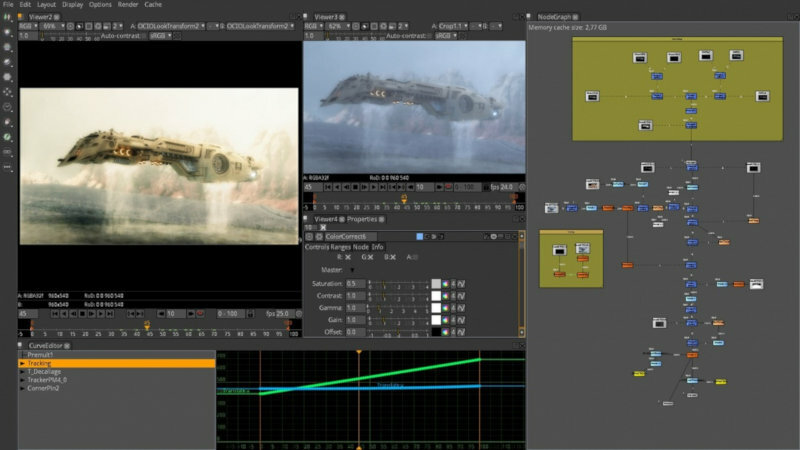 Natron supports smooth zooming and panning for large images, and includes a full-featured dope-sheet to quickly edit clips and keyframes in time-space. I am not sure if professional musicians like Chris Martin and John Ondrasik use Adobe Audition. Chances are, one of your favorite musicians use it. Adobe Audition is a tool to record, edit and mix audio. Simply put, it is the tool to create music although the use of this tool is wider than that. The open source community also has a free alternative to Adobe Audition. The tool is Ardour. Same as Adobe Audition, you can also use Ardour to record, edit and mix audio. Whether you are an audio engineer, musician, soundtrack editor or composer, Ardour is a reliable tool you can use to replace Adobe Audition. 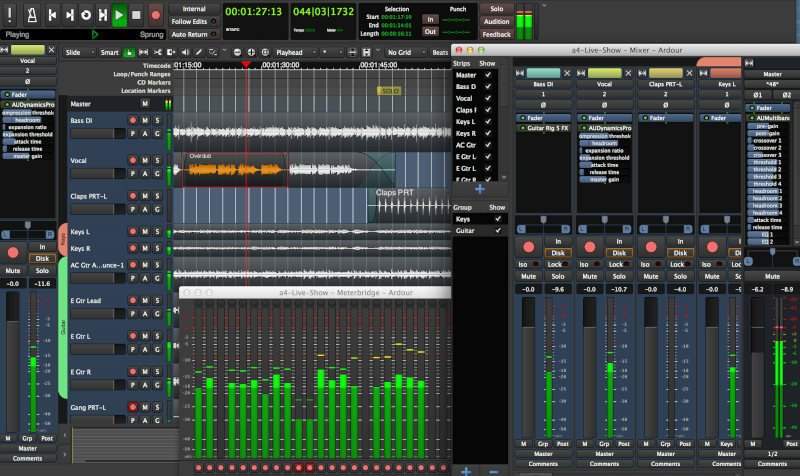 Ardour is also a cross-platform app. Available for Windows, Linux and Mac.